What is a “Design Plan”? At the foundation of every construction project is the mutually developed design plan, which consists of drawings that include every detail and specification of the project. These guidelines ensure that our design team and subcontractors are creating the kind of space you envision. 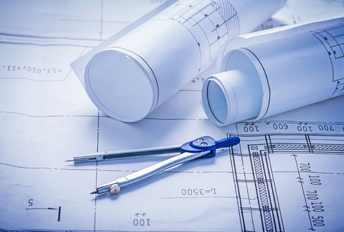 The plans are at the heart of each proposal and include such details as: type of construction, grade, size and shape of windows, doors, floors, wall coverings, light fixtures, electrical outlets, insulation, air conditioning unit, roof design, brick or siding exteriors, and all the other aspects of a space that make it not just a building, but a home. The development of these plans and proposals can be a slow process because they require a great deal of information gathering, but the more detailed the proposal, the more certain we can be of a timeline and budget. The fee for the design plan is on a sliding scale dependent on the size and scope of the project. Half that cost is payable when the design plan contract is signed. The total balance is due when the design plan is approved. Work on the project proposal begins when the design contract is approved. When construction begins, the cost of the design plan will be deducted from the cost of the project. The real leader of the team is you, the homeowner. While our team has the skills and experience necessary to bring your project to fruition, you have the vision for how you want the completed project to look and feel. The first step in the construction process is to consult with you onsite to take measurements and discuss the project, clarifying the smaller details you would want subcontractors to know about you and your home as well as your expectations for how the project will unfold. Afterward, the subcontractors will research a range of materials for you to choose from, keeping the timeline and budget in mind. This selection process assures all parties that they are utilizing appropriate materials and exceptional craftsmanship. After these specifications are outlined and the design plan is complete, another consulting session takes place to fine tune the design plan and make any other adjustments. It is a time for homeowners to be vocal about their needs and concerns so that the team can revise the plan to make it as close to perfect as possible. Based on this design plan, the team will then prepare a proposal for the project. The homeowner then reviews and accepts the proposal, giving InVision the go-ahead to pursue the proper permits and materials to begin construction. Because InVision has collaborated with the homeowner to create a detailed design plan, construction flows smoothly and efficiently with the best materials and the right people to use them. Soon, what was once only on paper is now part of your daily life. InVision is unique in its collaborative approach and design services. 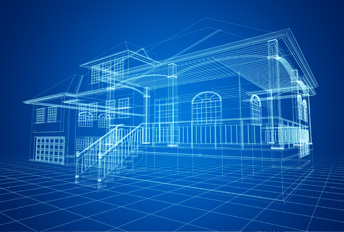 Traditionally, design and build services have been reserved for commercial,industrial, and governmental projects, but InVision recognizes how this process applies to homeowners. By thoroughly planning projects, InVision’s design and build model saves clients’ time and money by minimizing complications during the construction phase of the project. Our typical design and build project time frame is at least six weeks shorter than conventional remodeling. High quality customer service is central to our mission at InVision Construction which is why we employ a professional scheduler and your project is supervised at all times by experts. These professionals and the rest of the team ensure that your completed project is everything you imagined, on time and within budget.